The United States Postal Service’s Every Door Direct Mail® is a service many a small and medium business can use to grow. Direct mail isn’t a thing of the past, and it’s still as effective at reaching customers as it ever was. But if you’re not sure how direct mail can be good for your business, we’ll list a couple of points that should show you. First of all, let’s state the most obvious – not everybody has to have a Facebook account, an email address, or even access to the Internet. But people need to have somewhere to live, they have an address, and it’s possible to deliver mail to them. Direct mail bypasses the tech barrier email has, and it goes straight to the customer. But was makes Every Door Direct Mail® such a great service is that it lets you create a map of places where you want your direct mail delivered. If you have a local store or business, and you want to make sure that people near you know what you’re selling or what services you’re offering, you can easily send out flyers to a radius of a couple of block around your store. With Every Door Direct Mail®, however, you’re not targeting customers, you’re targeting communities. There’s nothing like a good event to increase interest in your business and attract customers. You could have relocated your store, and now you want people near the new location to be aware that you’re there and that you mean business. You might have a grand opening of a new store. You might be organizing an event for your favorite charity, or you might be planning a simple and fun sale. The reason behind the event isn’t that important. What is important is that people come to the event, and to do that, you need to invite them. or at least let them know the event is going to happen. And yes, social media is a great way to reach your customers and let them know about your event. But for the people who live near your business, it makes much more sense to reach out to them directly by mail. It’s easy to plan and not too costly, and it can really increase the attendance of the event by making sure that the people who are closest to the event all know the event will happen. You think that content marketing is something that can only be done over the Internet? Well, you’re wrong – direct mail is a great way to deliver content to the community in which your business operates. If you have a medical practice, for example, you can send out a monthly newsletter to the whole neighborhood, full of content people will find useful. Real estate agents can do the same, and so can lawyers. As long as there is news in your industry which affect the people outside of the industry – and medical, legal, and real estate news affects everyone – you can create a newsletter and deliver valuable content to the community in which your business is located. Yes, direct mail can be used to increase awareness about your business, events, or promotions in your local area. Direct mail is centered around your customers, however, it also has a very helpful side effect of keeping your competition at bay. 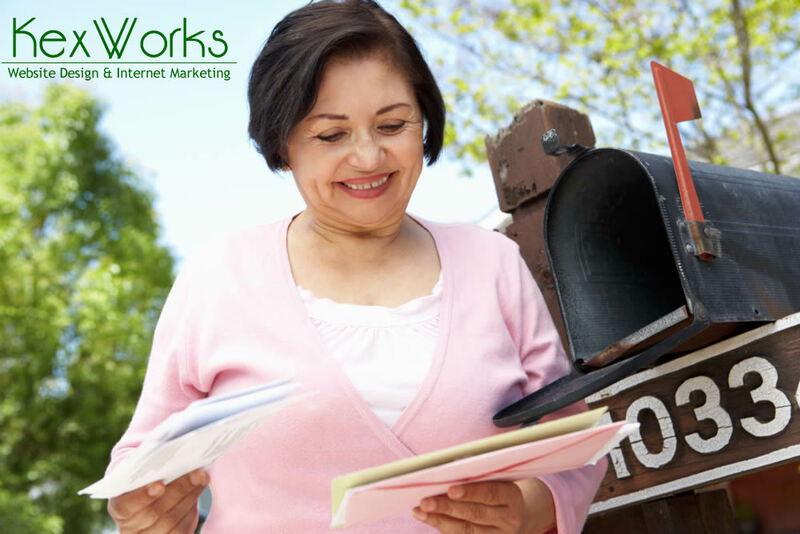 If your direct mail efforts succeed, you will be a household name in your area, people will know that your business is there for their needs. But your competition will know it as well – they will know that you’ve cornered that market, and they will think twice about stepping into your territory.